Saw this on my way to work. 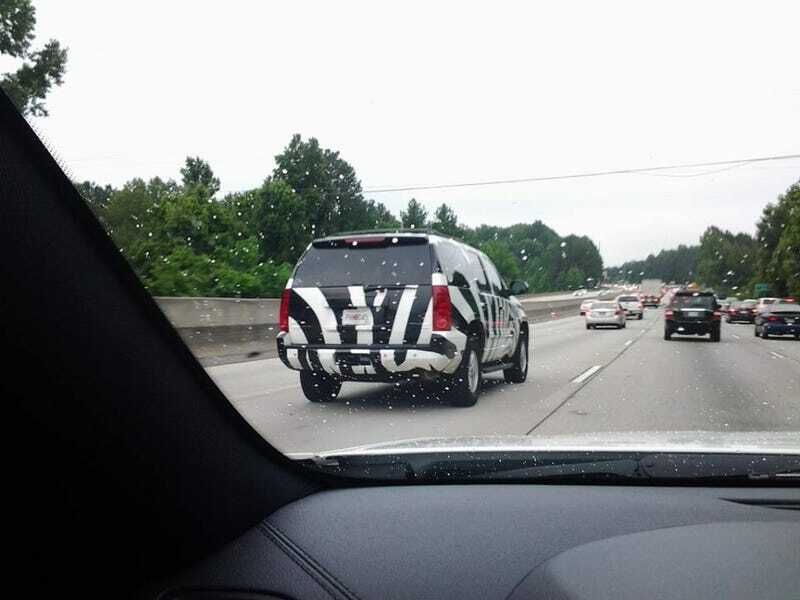 I really like the zebra camo. I bet this thing looks awesome when you are standing still and the car is going by at high speed.